Thanks to your support in the November 2017 election, the future of your zoo is brighter than ever before! We are excited to share the details of the 10-year master plan that will mean bigger spaces and great experiences that make for smiling faces. Your zoo will be transformed into one of the best in the nation — and even more of a national leader in animal care and conservation. You’ll be transported around the world as we expand into Asia with thematic habitats, an adventurous tree-top playground, and more opportunities to get up close to some of your favorite animals. You’ll explore through the winding paths of Africa to see the two-story African Safari Lodge, have a once in a lifetime experience during a rhino encounter, and enjoy the underwater hippo viewing area and so much more! 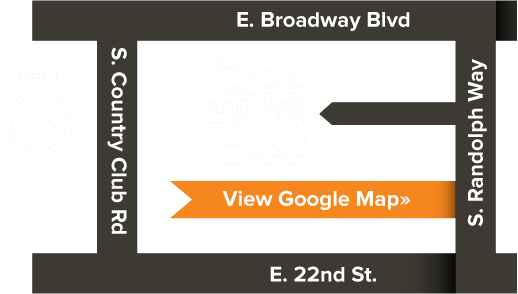 We’ve already started painting, repairing and refreshing your zoo while these plans are being finalized for phase one. Do you have a question about the Future of Your Zoo or just want to send us comment? Phase 2 will take you on a safari to Africa! You’ll have a spectacular view of the continent’s most beloved animals all in one place – lions, elephants, and a close-up look at rhinos — during a feeding experience. Your journey will take you to see hippos, wild dogs, towering giraffes, zebras, gazelles and other hoofstock. Kids will have another area to explore with a new play area with tunnels and pop-up viewing spots to get close to the perky meerkats. A village of iconic round African homes will welcome you as you head to the beautiful new lodge, with balconies on three sides and seating for 400, that will blend into the African landscape of the new habitat.